Whose versions of sustainability count in the urban century? How does spatial disadvantage intersect with injustices based on gender, ethnic, linguistic, religious and other dimensions of social difference? What opportunities do flows of people, capital, information and commodities between urban and rural spaces present for sustainable rural development? Delegates to the 2020 World Congress of Rural Sociology will consider these and many other questions relevant to contemporary rural society. Proposals for themed sessions are welcome. Please note proposals are due May 10 2019 and must be prepared following the guidelines in the link below. 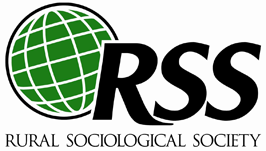 © Copyright 2018 Rural Sociological Society.